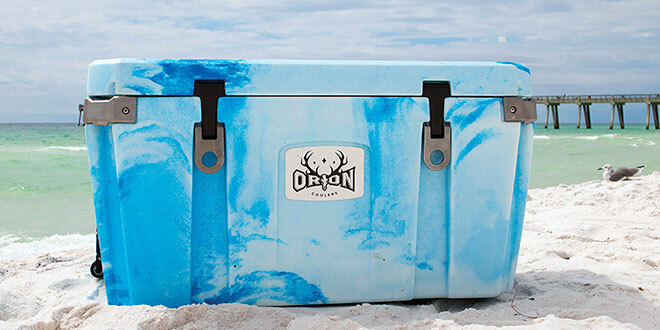 The Orion 85 is an 85-quart capacity multi-use cooler. As the largest cooler from Orion Coolers, it is designed to store quartered game, large fish, a week’s worth of food and more. The cooler can hold 100 pounds of ice, 110 12-ounce beverage cans, two processed deer or 36 bottles of wine. It is available in over 20 colors, including several designed to match popular sports teams.